Skiing at the end of the season has many advantages. The weather is generally milder and sunnier, the days are much longer and the crowds have gone leaving quieter slopes to enjoy. It also means that there are many great ski accommodation deals to be had as resorts look to sell their empty beds at low prices. There can be a real party atmosphere at the end of the skiseason as spring is in the air and the locals and resort staff celebrate what is a long winter. It can often snow too, and although the snow melts and changes more quickly, you can still experience powder snow, at any time of the season. The ski area in Lech/Zürs is the snowiest major ski area in the Alps and cover is pretty much guaranteed until the end of April, even at resort level. The resort has a long season by Austrian standards. Average snowdepth at the upper slopes is still well over 1.8m at the end of March. The resort is well looked after and is groomed to an excellent standard so you’ll constantly have a fresh surface to work with. Last - and not least - Lech has a sensational atmosphere and a lively après-ski scene. Nestled up in the French Savoyard region, Val Thorens is Europe’s highest ski resort with the village at an altitude of 2500m. Val Thorens is very snow-sure not solely due to its altitude but also due to it’s north-facing slopes. Most of the skiing here is over 2000m, which means the snow keeps cooler for longer and the lifts keep running until early May. 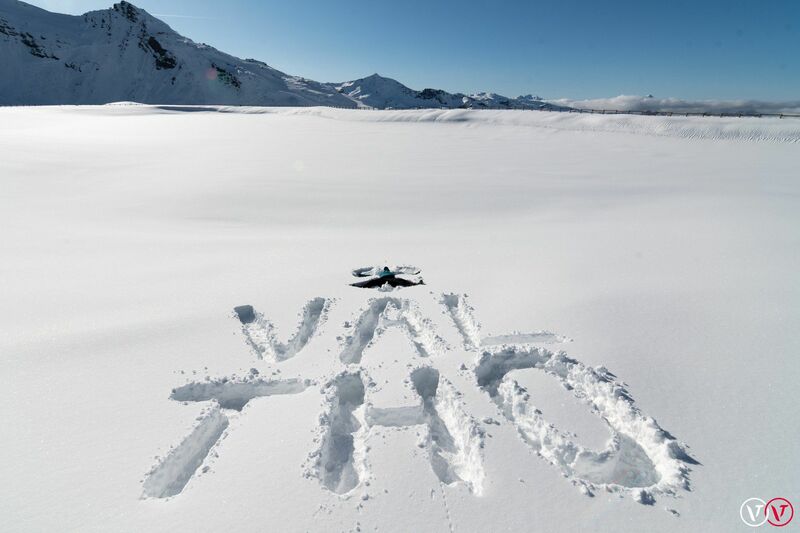 Part of the huge Three Valleys ski area, Val Thorens is an excellent bet for good snow conditions even late in the season. Passo Tonale (Valle di Sole) sits in the extreme western end of the Dolomites where natural snowfall is higher than in the bigger names further east (e.g. Selva). The resort has variably either the deepest, or one of the deepest snow bases in Italy. At 1885m the resort is also high by Italian standards, with slopes reaching over 3000m. Some of the slopes do face south and get the full force of the midday sun. However, the north-facing Cima Presena which includes Passo Tonale’s glacier is much shadier and usually offers excellent conditions well into spring. Along with a great relaxed Italian atmosphere, Tonale is unusual for glacier ski areas in that it offers steep red and black runs right through to summer. In May however, much more terrain is usually open, often as much as 50km of slopes remain accessible and in a good snow year there’s still top to bottom skiing. Cervinia is dominated by the mighty Matterhorn, set in the breathtaking Aosta Valley. One of the best things about Cervinia is that in the late season you can enjoy plenty of afternoon sunshine without having to sacrifice the snow, because snow conditions remain good long into spring.Cervinia is linked with Zermatt in Switzerland, and it is possible to cruise between the two countries from November until the start of May. The slopes in La Thuile are not situated very high, but they are much better protected from the wind and the sun than in neighbouring La Rosière (France). This is partly due to their aspect – most of the slopes face north or east – but also because La Thuile sits on the leeward side of the high mountains that form the border area between Italy and France. What’s more, its lower runs are thickly wooded which again helps preserve the quality and quantity of the snow in sunny weather. One of the higher resorts in Europe with pistes to 3000m and a good snow record, Livigno is also known for its sunny location. It offers one of Europe’s largest terrain parks and the skiing lasts until late April/early May on a good year. Andermatt is a genuine alpine town and is actually a small skiresort compared to the others in this top 10. With its famously snowy micro-climate and high north-facing bowls, Andermatt is an excellent bet at any time in the season, but is particularly good in spring. Looking for a bit of Tirolean charm along with snowsure pistes for spring skiing? Then Obergurgl is the place to be. Situated in the Ötz valley, close to the Italian border, the snow sure resort offers skiing late into spring along with its higher sister resort Hochgurgl, which is a mid-mountain gondola-ride away. Obergurgl is Austria’s highest resort, with slopes between 1795m-3080m, and is probably the most reliable of Europe’s non-glacier resorts. It has long been a favourite with those for whom the quality of the accommodation is as important as what’s on the slopes. Are is northern Europe’s largest and most advanced ski location - boasting a season that starts in November and lasts until May. With 100 pistes to enjoy plus night skiing too, Are is a popular choice for late season skiing. New this season is the snow guarantee which means that Are will either refund your money or re-book your trip if there are no skiing opportunities as late as May 1st. Nowhere in the Alps have quite the extent and variety of high altitude skiing as Val d’Isère and Tignes (L’Espace Killy). The home runs can get tricky with the approach of spring, but most of your time will be spent above the mid-stations where the quality of snow is often good. As the season winds down at the start of May it is often still possible to ski the full vertical back to Tignes and, in a good snow year, there can still be more than 100km of piste available.